How do I create an item bank in Quizzes.Next? You can create item banks in Quizzes.Next. Item banks can be used to store questions for use in other assessments. 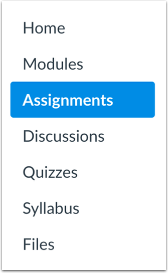 You can use your item banks in any course where you have permission to create and edit an assessment using Quizzes.Next. To open an assessment, click the title of the assessment . 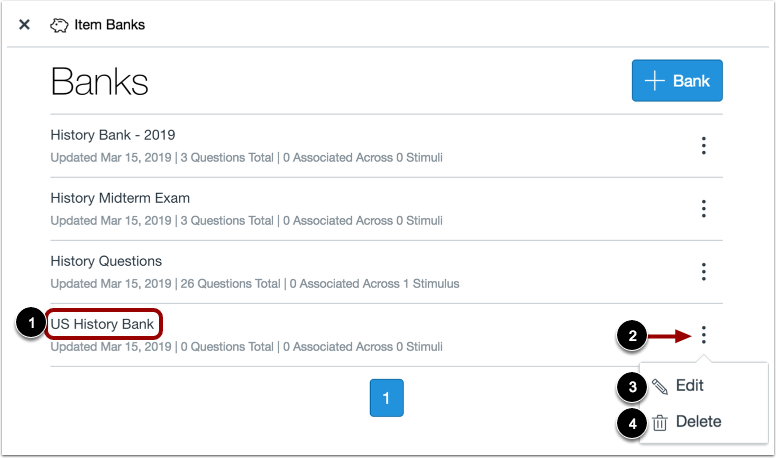 To create a new assessment, click the Add Quiz/Test button . Click the Add Bank button. In the Bank Name field , enter the name of the item bank. 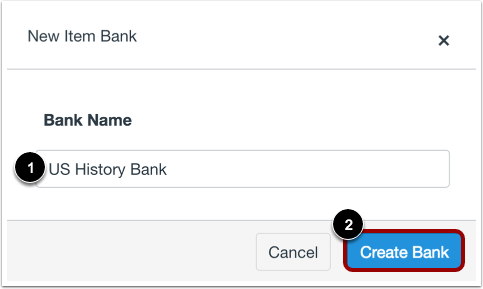 To save your bank, click the Create Bank button . View your new item bank . To view your item bank options, click the Options icon . To edit the item bank, click the Edit option . To delete the item bank, click the Delete option . Previous Topic:How do I manage item banks in Quizzes.Next? Next Topic:How do I add content to an item bank in Quizzes.Next? Table of Contents > Quizzes.Next > How do I create an item bank in Quizzes.Next? Re: "Question Banks" on Canvas. Re: How do I import question banks?